The Style Minded: Holiday Giveaway!!! love your videos btw, love the style and makeup tutorials. i would love to see more outfit of the day videos, random vlogs. I would really love to win "The Glam"-package. It's amazing"
and I would love to see your christmas and New Year's Eve nail polishes! hi what a great selection of prizes! if i won i would go for the glam prize no 3! Hi Reese thank you so much for doing this Amazing Giveaway!! I would like to see you doing vlogs and also Product Reviews! 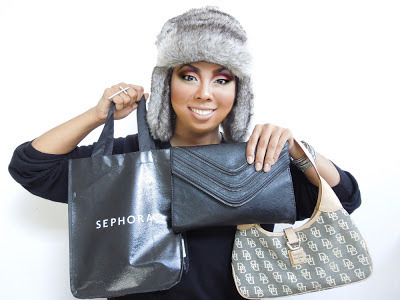 I would love to win the EDGY Bag!!! I really love it! !